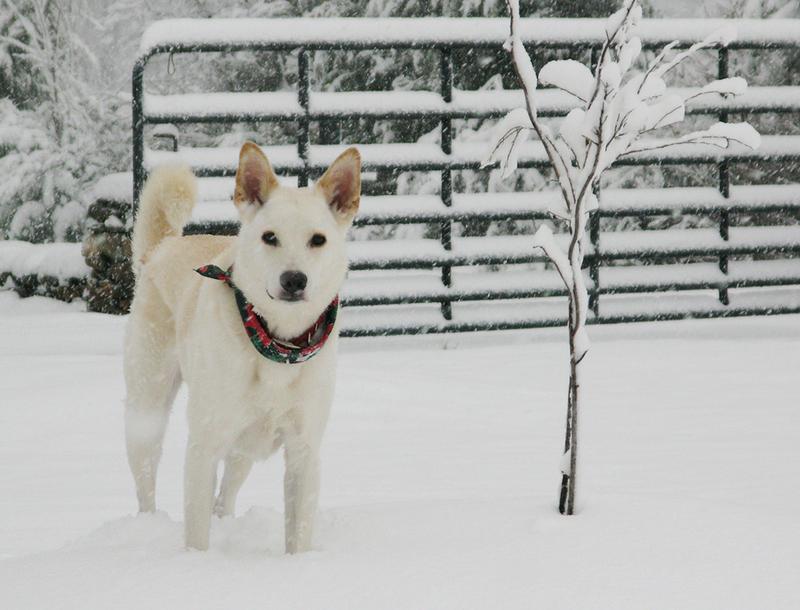 I suppose that by now most people are well acquainted with the story of Japan’s famous Akita Hachikō, but how can a blog titled Dogs Make Everything Better not include it? It must! First of all, it’s a true story. Second, it has to be the number one example of a dog’s fierce loyalty to his friend and the powerful bond that can exist between dog and man. And third, Hachikō is especially the winner now that the tale of Edinburgh’s poor little Greyfriar’s Bobby has been pretty much debunked. Boy, what a dagger that was! For those of you that don’t know about Hachikō, here’s the story. By the way, there is a movie that was released in 2010 directed by Lasse Hallström called Hachi starring Richard Gere and Joan Allen, but it’s loosely based on the true story. The 1987 Japanese film Hachi-kō is the real deal and I’m hoping to see it soon. Um, with subtitles. The story begins in Tokyo in 1924. A professor at Tokyo University by the name of Hidesaburō Ueno acquired Hachikō to be his dog, a golden brown Akita. Each day the pair would walk to Shibuya Station together, where Professor Ueno would take the train to work. When he would arrive back at the station at the end of the day, Hachikō would always be there at the precise time to meet him and together they would walk home. This continued until one day in May 1925 when Professor Ueno suffered a cerebral hemorrhage at work and died. For the next nine years the ever loyal Hachikō continued to arrive at the station each afternoon at the same time, hopeful that Professor Ueno would once again step off the train. Fellow commuters noticed Hachikō waiting and remembered seeing Professor Ueno with the dog each day. Eventually they started bringing him food and treats. Newspaper articles were published, and before long Hachikō became a national symbol of family loyalty for the Japanese people. Children were taught to honor and respect Hachikō’s remarkable vigil and to recognize it as an example for them to follow. 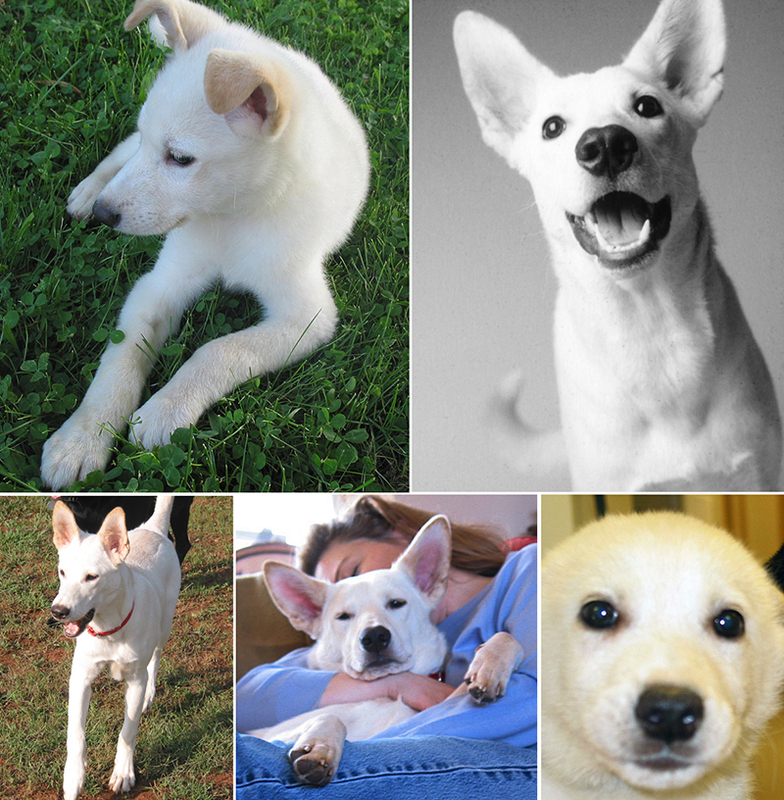 Before long, the nation’s interest and awareness in the honorable Akita breed also grew. In the spring of 1934, a bronze statue was erected outside the Shibuya Station and Hachikō himself was present for its unveiling. 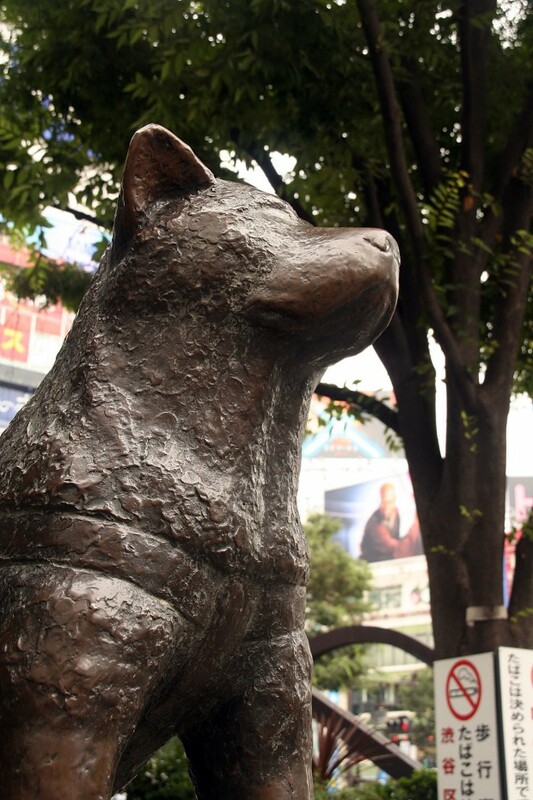 The spot where Hachikō waited in the train station is permanently marked with bronze paw prints and text in Japanese detailing his lifelong loyalty. During World War II the statue was sacrificed and melted for the war effort, but a replacement was made and erected in 1948. Each year on April 8, a solemn ceremony takes place at Shibuya Station to honor Hachikō, attracting hundreds of dog owners to pay their respects. And last month, rare photos from Hachikō’s life were shown at the Shibuya Folk and Literary Shirane Memorial Museum in Shibuya Ward, the show wrapping up on July 22. 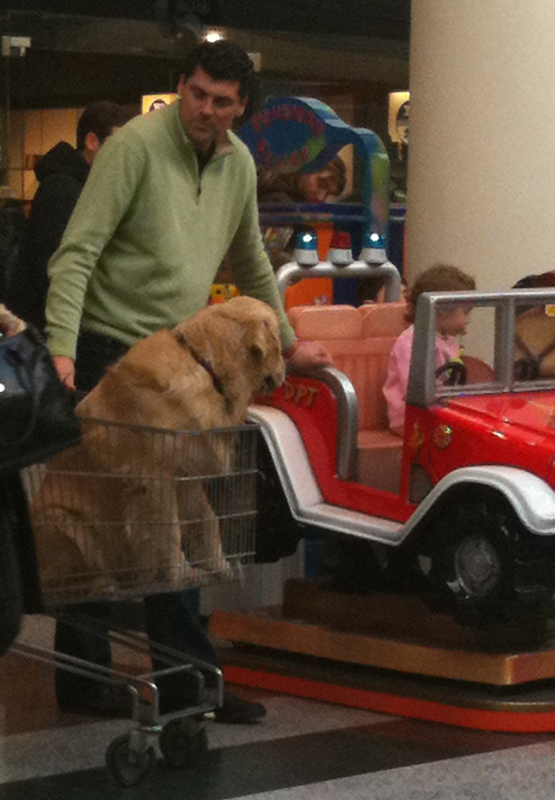 Once again, it’s a dog at the helm showing us how we should behave and honor the special people in our lives. So thanks for stepping up, Hachikō. Sure wish you could come back, and this time maybe run for President? Thanks to Wikipedia, for some facts. I subscribe to too many magazines and I can’t stop. The print kind. It takes me a while to flip through them (especially those fall Vogue phone books) but sometimes I’ll commit to going through a stack and just flip away, tearing out articles or images and putting them into stacks like an old-school Pinterest. But it’s not Pinterest, so that means I usually have a stack of articles and images to go through after I finish my flipping. But I work quickly, I’m like that animal that’s attracted to shiny things and only shiny things. With eyes zig-zagging and darting plus some really heavy editing, I’m usually in pretty good shape and the stacks end up being pretty minimal. 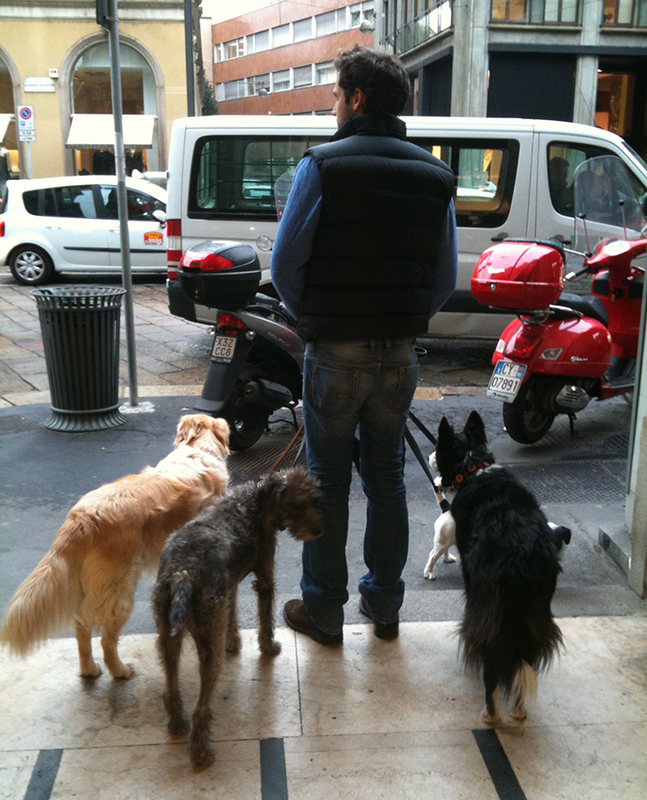 Things come to a screeching halt, however, when I see a dog. Or anything Italian. Or something really beautiful. When it’s all three, well forget it. At that point I’ve found the shiniest thing of all and it’s time out. This happened to me a while back as I raced through the December 2006 issue of Town & Country when I came across an article about celebrated photographer and author Priscilla Rattazzi. For many years she worked as a fashion photographer in New York (in those Studio 54 days), later focusing on photography for her books: Georgica Pond, Luna & Lola, Children, and Best Friends. Such a beautiful collection of images, and what a life! Her uncle was head of Fiat and icon-in-general Gianni Agnelli, and everyone knows the Agnellis are pretty much the Kennedys of Italy. So just drinking in the private moments she’s captured over the years is really a wonderful treat. Lucky for me, she loves dogs and her 1989 book Best Friends is page after page of them with their mover-and-shaker owners. In the above photo, her uncle Gianni Agnelli is shown in his circa 1980 pin-striped slacks and tie (after a long day at the office?) sharing one of those private moments with his Siberian Husky called Dyed Eyes. 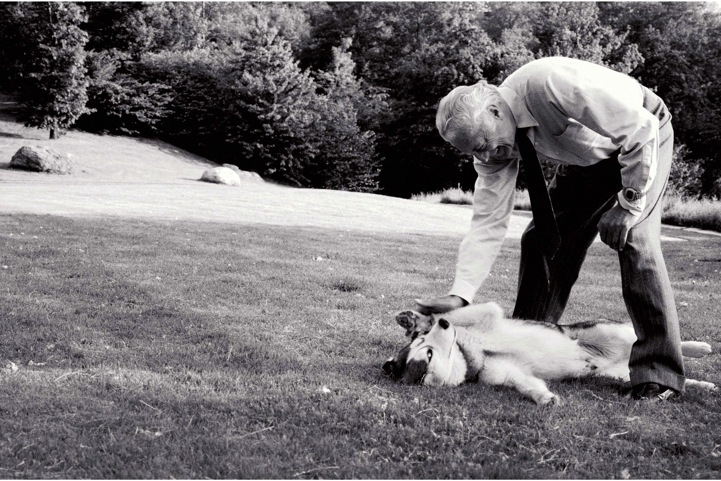 I don’t know about you, but for me, seeing a captain of industry like Gianni Agnelli enjoying a moment like this with his dog is pretty darn endearing. And Mr. Agnelli also wrote the introduction for the book. 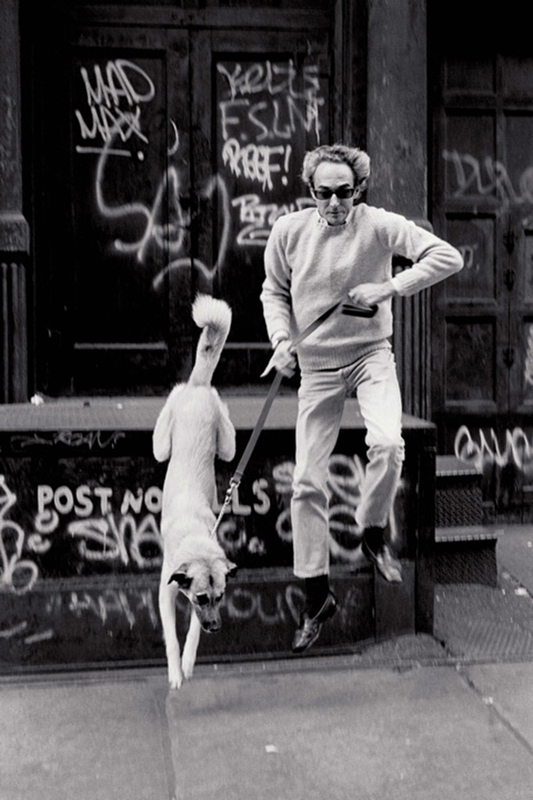 One of my other favorites from Best Friends is the photo below featuring Nini Guatti with his dog Andiamo. Such a great image, captured at the precise moment. I think I’m especially drawn to it because my dad often dressed this way and I really miss him, and what’s better than a dog called Andiamo (let’s go)?! Priscilla Rattazzi has done a wonderful job of chronicling, in both pictures and words, the relationship between her family’s Golden Retriever and their miniature Dachshund in her 2010 book Luna & Lola. The images are warm in composition and reproduction, the book’s cover is a lovely matte stock complete with slipcover so it feels especially “gifty”. It’s a gorgeous book, certainly, but also an incredibly moving portrait of two dogs, the family that loved them and the time they shared together. Sadly, Luna passed away just before the book was completed, and the book includes a truly touching eulogy written by Ms. Rattazzi’s husband Chris Whittle at the end. 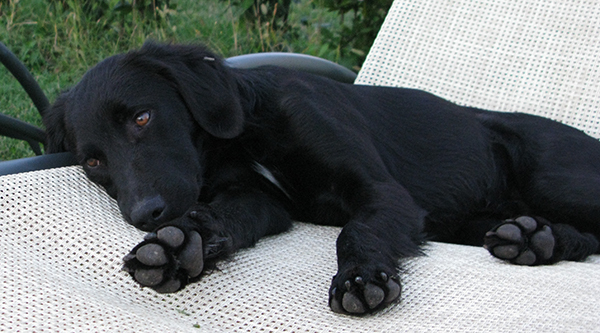 Luna enjoyed her life with Lola and the rest of her family, and that really comes across on every page. As with all of Priscilla Rattazzi’s work, I really appreciate having the experience of taking a look. And it gets better: a portion of the proceeds from Luna & Lola will be donated to the Animal Rescue Fund of the Hamptons in Wainscott, New York. 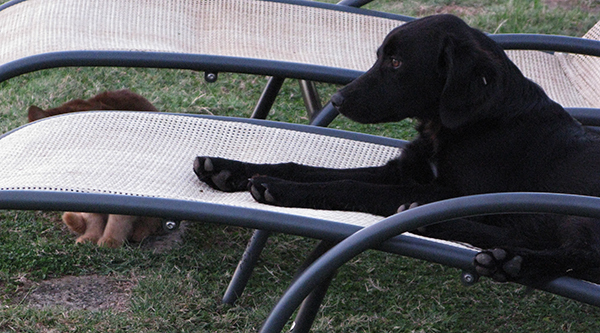 For details on the book Luna & Lola, click here. For more information on Priscilla Rattazzi, including many press articles and gallery information, click here. To watch a video of a recent talk by Priscilla Rattazzi at the George Eastman House in Rochester, New York click here. Gianni Agnelli with Dyed Eyes and Nini Guatti with Andiamo courtesy and copyright Priscilla Rattazzi. Okay, I got it. And as the week went on, it was apparent the name fit him pretty well. But then, maybe not. One day during breakfast he pushed his way into our room, jumped on our bed and rolled around for a while (on top of my white t-shirt). Another time he borrowed my husband’s Costa del Mar sunglasses for a while and we eventually found them near his doghouse. Luckily they were inside their bullet-proof case and now the teeth marks it bears serves as a hilarious reminder. 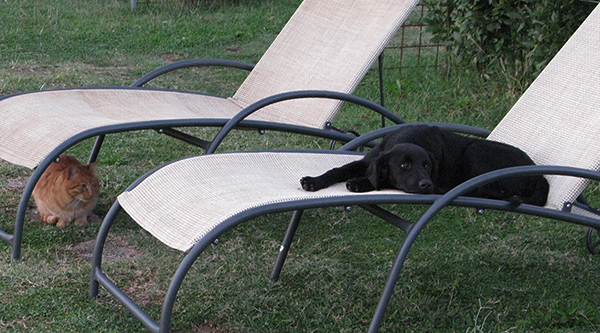 Once after a long day of walking around Volterra, we returned to find Boh lounging poolside on a chaise (so much work to do, finding mischief among the guests, hanging around the kitchen, etc.). 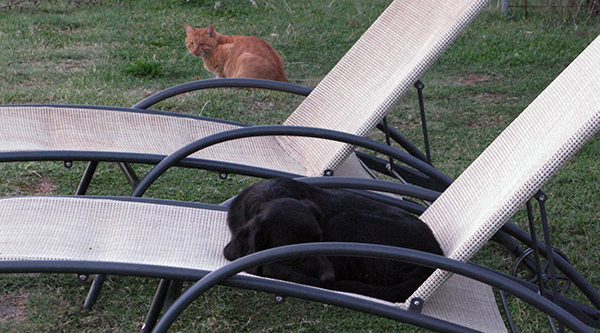 After a few minutes the resident one-eyed orange cat showed up and Boh just wasn’t having it, giving him the cold shoulder in stages. If you’d like to visit Boh (or the one-eyed orange cat), I must warn you to bring pants with an elastic waistband. Dinners at the agriturismo are served at a long table family-style where the food doesn’t stop coming, and they don’t take no for an answer (I’m not kidding). The owners are nice, they make their own products there (no, you don’t have to help) like olive oil, saffron, cheese and wine. So if you’re looking for one of those friendly places where you end up meeting a lot of great people from all over the world (the three wild girls from Poland who live in Canada, the mother and daughter from Hawaii, the water polo player and his medical student girlfriend from Milan, the Australian couple with the woman who worked on Happy Feet, you get the idea), this is one of them. And of course there’s Boh. But I’m convinced he’s a lot smarter than he’s letting on. Having Sirius radio in my car is wonderful, so much to choose from. But 95% of the time my station of choice is the BBC World Service and I just can’t get enough of it. Not only do I get to hear great stories and perspectives I would otherwise miss, I also get to avoid U.S. election year mud-slinging, toddlers in pageants and the Kardashians for a while. This story was so fantastic that I almost spun out of control when I heard it. Oh happy day. Basically, in China they have their own rapidly growing version of Twitter called Weibo and this story was about how this amazing technology is creating enormous change within the country. They give five examples of how this is impacting lives and social issues, the first one being the story of animal activist Zhang Xiaoqiu and how he has started a movement to save dogs. Below is the text about Zhang Xiaoqiu from the BBC’s site, but you can find the entire technology story by correspondent Duncan Hewitt here. If you prefer to listen to the BBC’s audio, click here. Zhang Xiaoqiu still remembers the date – 15 April 2011. 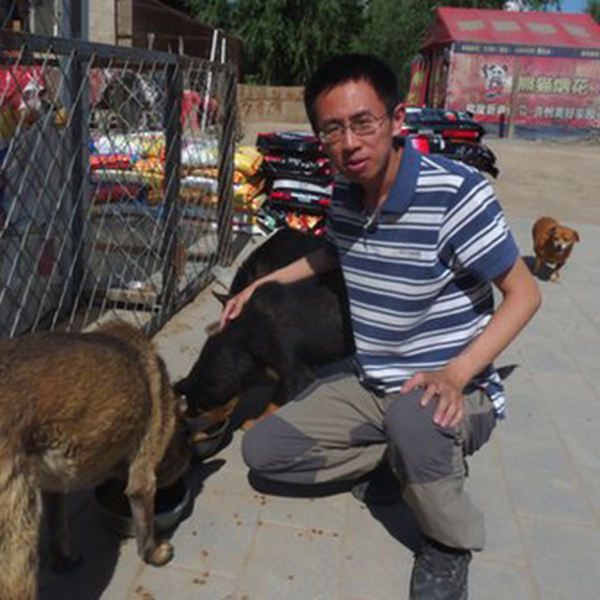 It was when Weibo changed his life, and saved those of several hundred dogs. The Beijing-based businessman, originally from southern China, had always been an animal lover, but the news he heard via Weibo that day led him to take action. Fellow internet users had spotted a truck on the motorway heading out of Beijing, loaded with dogs in tiny cages. This could only mean one thing – they were destined for restaurants in China’s north-east, where dog-eating remains more common than in many other parts of the country. Pictures of the caged animals, posted on Weibo, soon attracted the attention of hundreds of thousands of people across China, and at least 100 animal lovers quickly answered an appeal to jump in their cars and block the truck’s path on the road. Zhang was one of them. He and his wife arrived to find police and local government officials at the scene, and animal lovers attempting to persuade the truck driver to sell them the dogs. Finally, after Xiaoqiu and other campaigners raised about £1,000 ($1,556), the driver agreed to drive the animals to the compound of the China Small Animals Protection Association (CSAPA) – the country’s only officially recognised animal rights NGO. Today, Zhang is a volunteer organiser for the CSAPA. He says there has been a dozen more dog rescues over the past year or so, all organised online via Weibo. “Each time someone will send out a message on Weibo and volunteers from all over the country will find out about it. Story text and photo from the BBC’s website.